FRANKFURT (Bloomberg) -- Continental AG reported fourth-quarter profit and revenue that beat analysts' estimates and predicted rising sales in Asia will offset additional costs from rubber's surge. Net income was 213 million euros ($295 million), compared with a loss of 154 million euros a year earlier. Profit topped the 163 million-euro average estimate of seven analysts compiled by Bloomberg. Sales rose 21 percent to 6.9 billion euros Continental said Thursday. Continental forecast revenue may jump about 10 percent this year, with growth in emerging markets in Asia helping to offset as much as 700 million euros in additional costs because of high rubber prices. Benchmark rubber futures have jumped more than fourfold since reaching a six-year low in December 2008, prompting tiremakers from Bridgestone Corp. and Michelin & Cie. to increase prices. "The numbers are solid and the outlook is positive," said Aleksej Wunrau, an analyst at BHF-Bank AG in Frankfurt. "The uncertainty about ownership may be weighing on the shares today." Continental, which is Europe's second-biggest car-component maker, returned to an annual profit last year as China's car market jumped 32 percent and U.S. auto sales recovered. The company aims to cut debt to less than 7 billion euros this year from 7.3 billion euros at the end of 2010, CEO Elmar Degenhart said. This year, earnings before interest, taxes and one-time items as a percentage of sales will remain steady at 2010's 9.7 percent while sales will probably grow about 10 percent to exceed 28.5 billion euros, Continental said. "We grew at a faster rate than the recovering automotive markets, especially in the emerging Asian markets," Degenhart said. "We have started the new fiscal year on stable ground - with a great deal of confidence and healthy optimism." 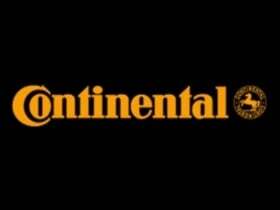 Continental is "confident" it will be able to reach better conditions as it negotiates new terms with banks on 6.5 billion euros in debt coming due in 2012, CFO Wolfgang Schaefer said. Current bond yields indicate the level of refinancing costs the company is looking for, he said, adding that the talks should be concluded within a "short time." The company's outlook on forecast for raw-material prices assumes natural rubber prices at $5.50 a kilogram, Degenhart said. Lower-than-usual supply and speculation are leading to the price rally and are making tire-price increases this year "inevitable," he said. "We are more concerned about natural rubber prices" than oil, the CEO said in an interview with Bloomberg Television. Continental forecast cash expenses for restructuring of 300 million euros for this year, matching the amount spent in 2010. The company won't pay a 2010 dividend.